It will be the last to publish its first-half results, on 4 September, but rivals have already revealed they’re still growing on its home turf despite worries over the holding company model. 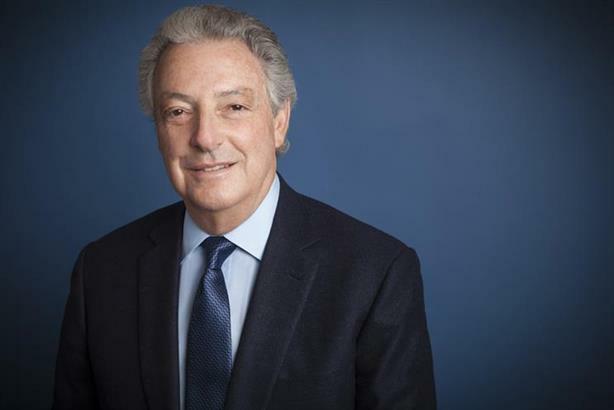 Interpublic Group has led the way this year, having reported 11.7% first-half organic growth in the UK, which it told Campaign is one of the few markets where it is hiring extra staff. A clutch of acquisitions has boosted staff numbers to 4,700, although this underlines how IPG remains a minnow compared with WPP, which employs 17,000 in its home market. Investors have been increasingly nervy since WPP first warned on growth in March 2017, culminating last month in the share price of Publicis Groupe diving 7% after it revealed falling organic revenues in Q2. "That type of magnified reaction is often seen at the beginning of a bear market," according to ex-Numis analyst Lorna Tilbian, who believes a coming economic downturn is set to hurt the holding companies. But should we in the UK be listening to such Eeyores, when even WPP (up 1.6% in organic terms in Q1) and Publicis Groupe (up 1.7% in organic terms in H1) have had positive starts to the year over here and IPG has been positively making hay? "The UK is holding up well on an as-reported basis," agrees Pivotal Research analyst Brian Wieser, who is less bearish than Tilbian. "It’s a little bit of an anomaly, but then the overall advertising market has been strong too." WPP’s lower growth figures are a consequence of its sheer size, but also of account losses, Tilbian says: "They lost two of their top-10 clients in Volkswagen Group and AT&T in late 2016. That hit them in 2017 and they haven’t been replaced yet." IPG attributes its revival to increased spend from existing clients, as well as the tailwind from 2017’s "significant" global account wins such as Lego and Carlsberg. If you include acquisitions, IPG’s first-half revenues rose 22.5% to $339.2m. Brexit hasn’t stopped IPG boss Michael Roth from doing four deals for domestic agencies over the past two years. Predictably, targets weren’t traditional ad agencies but add-ons in growth areas such as search and/or social (Stickyeyes, That Lot), strategic comms (Salt) and influencer marketing (ITB Worldwide). But deals aren’t necessarily a panacea, as Omnicom has found. While it’s still growing strongly in Europe, its first-half UK organic growth has slowed to 0.7%, despite acquiring a majority stake in Lucky Generals in February 2017. It could have been worse, but for Omnicom retaining Camelot (which moved from Abbott Mead Vickers BBDO to Adam & Eve/DDB) and taking Asda (to AMV) from Publicis Groupe (Saatchi & Saatchi). Martin Jones, managing partner of AAR, says this year’s big pitches underline the dominance of the groups, with Coral the only one of five clients with a £20m-plus media spend to appoint an independent agency (Alpha Century). "Most agencies’ ‘dream’ client sectors – supermarkets and finance etc – still remain mostly in the hands of holding company agencies," Jones adds. "Rumours of their demise are exaggerated." But do clients themselves face a sunny enough outlook to keep their partners in shape? Tilbian concedes the holding companies may show growth over the rest of 2018, but predicts it won’t extend much further. "The retail sector is already going through the mother of all bad times," she says. "But the big quarter for everyone is Q4, with Christmas. It will be clearer how hard or soft a Brexit looks likely, which could really affect consumers’ propensity to spend."